You only need a web browser. Nothing to download, nothing to install, and you always have the latest version. Fast and responsive, works right and looks great on any device. With Yarkon, any user in your organization can have secure S3 access, without having to create any user level IAM accounts. BYOS – Bring Your Own Storage: use your existing S3 or compatible account, no changes are required to permissions or content. Everything managed from the Administrator Console. Yarkon has the right option for your use case. You can start with the fully functional FREE tier and only upgrade if and when you need. You can host Yarkon inside your own VPC, using either an AMI or Docker; branding, single-sign-on and scripting is also available. 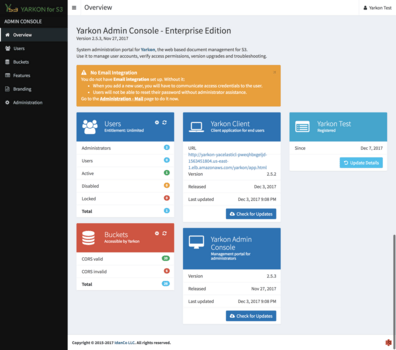 If you are a developer, you can use Yarkon in your own application – and it works with any S3 compliant provider, not just Amazon. 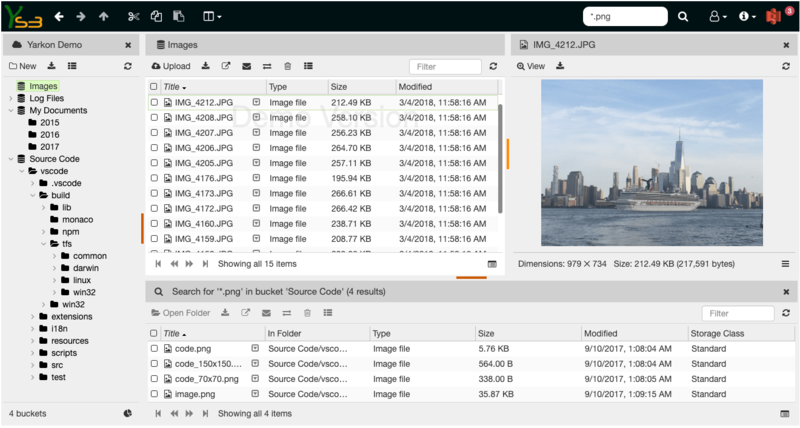 You only have few end-users using few S3 buckets, or just want to see it in action before making a commitment? The FREE tier of the hosted Yarkon service is available for sign up now! You are looking for a fully managed turn-key solution with a pay-as-you-go or monthly plans? Check out Yarkon Cloud. You can always upgrade from the FREE solution. 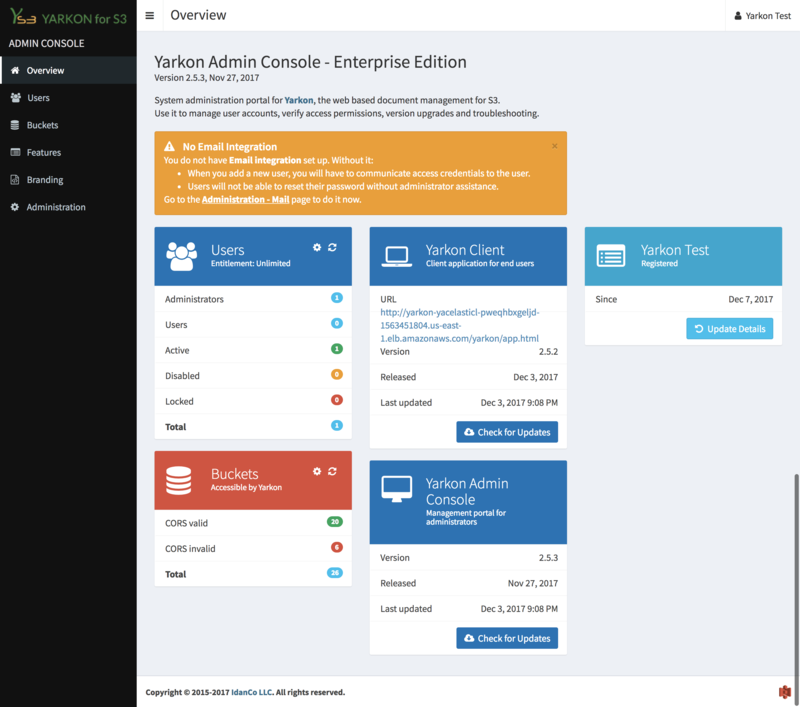 Need to host Yarkon in your VPC, or have enterprise grade features such as branding and scripting? The Yarkon Server is available as an AMI or a docker container. Shared folders, group policies or conditional user level permissions. Whatever you need, we can help. Talk to our storage experts.